It's so painful whenever you got most of your vital documents deleted from your hard drive. In such scenario, it seems as if all hope is lost, but I can boldly say to you that no hope is lost. Maybe you are going through this tutorial because you mistakenly got your files or your friends or client files deleted from the PC and you wish to recover it, kudos to you. You came to the right place. Today's tutorial, I would brief you guys about the 5 Best Free Software Used to Recover Deleted Files From Hard Drive. With these software I would be highlighting below, you can also use it to recover files ROM other external drives. Recuva is a great software that can be used to recover deleted files from your Hard drive. With Recuva, all accidentally deleted files and images would be recovered. Even files deleted from the recycle bin itself is being recovered. And its free. The software really helps and it has really saved me from so many mess in the past, so I encourage you to download the software and utilize it. This is another free file recovery software that I have also tested and it's done a great job. With the Pandora Recovery software, you can easily recovery deleted files from your memory cards, Hard drive and any other external drives. 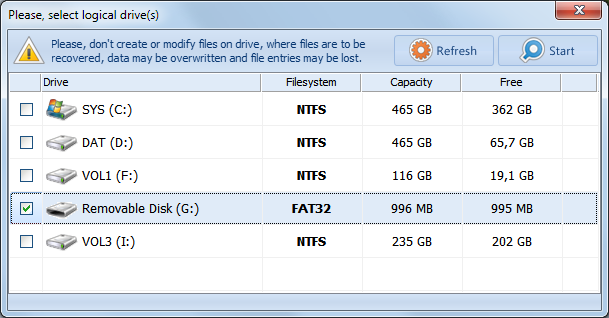 NTFS5 and NTFS/EFS. And many more features. So with all these features listed above, you should be driven to download the Pandora recovery software. It is also one of the best free recovery software. - Finding of partitions automatically even when the FAT or boot sector is damaged or erased. With these great features mentioned above, you don't need to think twice before downloading the PC Inspector file recovery software. This is an amazing file recovery software which is also one of the best recovery software that can easily undelete or recovery your already deleted files. With this software, you can easily recover deleted files, even those files deleted from the recycle bin, they can be easily retrieved. And the software also helps you save your recovered files into a new user selected location to prevent overwriting the deleted files on the original media. So I recommend, you also download the FreeUndelete file recovery software, its also helpful and useful. The ADRC Data Recovery Software tools is loaded with loads of great features. Files and data are easily recovered with this software and it also gives you full control to undelete files, disk image back up, restore a backup image, copy files from hard disk with bad sectors, disk cloning, backup, edit and restore your boot parameters. I also advice you to download this software, it would really save you from lot of mess and your vital files remains save with the software.